To continue on with the series of creating an application that utilizes ASP.NET Web API. 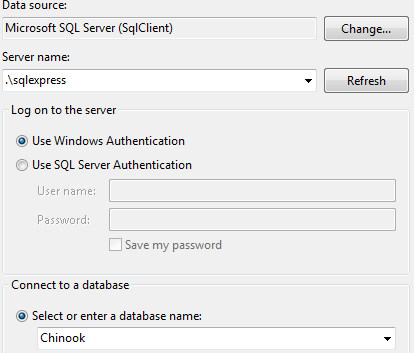 This demo application utilizes the Chinook database. In order to use Entity Framework code first with the lease amount of hassle the application will use a reverse engineering tool created by the EF team and included in the Entity Framework Power Tools. After the extension is installed and Visual Studio has been restarted it is time to create a new project to hold the Code First models and contexts. After the project is created the default class file can be deleted. Now to reverse engineer the database. After the magic happens there will be a two new folders and a context created. The entities folder are the domain classes and the mappings folder is the configuration files that tells Entity Framework how the tables are configured using the fluent API.